So begins Stan Brakhage’s classic Metaphors on Vision. First published in 1963 by Jonas Mekas as a special issue of Film Culture, it stands as the major theoretical statement by one of avant-garde cinema’s most influential figures, a treatise on mythopoeia and the nature of visual experience written in a style as idiosyncratic as his art. By turns lyrical, technical, and philosophical, this is a collection to be shelved alongside the commentaries of Robert Bresson and Maya Deren, Sergei Eisenstein and Nagisa Oshima. Yet despite its historical importance and undeniable influence, the complete Metaphors has remained out of print in the US for over forty years. In conjunction with the republication of Metaphors on Vision, an ongoing series of Brakhage screenings will take place at cinemas, festivals, and museums across the globe from September, 2017 to February, 2018. Participating venues include but are not limited to: Anthology Film Archives, New York; Light Industry, New York; Metrograph, New York; Quad Cinema, New York; the Whitney Museum of American Art, New York; the Museum of the Moving Image, New York; Harvard Film Archive, Cambridge; the National Gallery of Art, Washington DC; George Eastman Museum, Rochester; Lightbox Film Center, Philadelphia; Sight Unseen, Baltimore; Cleveland Cinematheque; the University of Chicago; REDCAT, Los Angeles; San Francisco Cinematheque; Media City, Windsor; LUX, London; HOME, Manchester; AEMI, Dublin; Arsenal, Berlin; and Experimenta, Bangalore. P. Adams Sitney, Professor Emeritus from Princeton University, is a preeminent historian of avant-garde cinema. He is the author of Visionary Film: The American Avant-Garde 1943-2000, Modernist Montage, Vital Crises in Italian Cinema, Eyes Upside Down, and The Cinema of Poetry. Anthology Film Archives is an international center for the preservation, study, and exhibition of film and video, with a particular focus on independent, experimental, and avant-garde cinema. Opened in 1970 by Jonas Mekas, Jerome Hill, P. Adams Sitney, Peter Kubelka, and Stan Brakhage, Anthology in its original conception was a showcase for the Essential Cinema Repertory collection. In the decades since its founding, Anthology has grown far beyond its original concept to encompass film and video preservation; the formation of a reference library containing the world’s largest collection of books, periodicals, stills, and other paper materials related to avant-garde cinema; and a remarkably innovative and eclectic film exhibition program. Anthology screens more than 1,000 programs annually, preserves an average of 25 films per year (with over 1,000 works preserved to date), publishes books and DVDs, and hosts numerous scholars and researchers. Light Industry is a venue for film and electronic art in Brooklyn, New York, founded in 2008. Developed and overseen by Thomas Beard and Ed Halter, the project centers upon a series of weekly events, which are frequently organized in collaboration with an invited artist, critic, or curator. Through a regular program of screenings, performances, and lectures, its goal is to explore new models for the presentation of cinema. Bringing together the worlds of contemporary art, experimental film, and documentary (to name only a few), Light Industry looks to foster an ongoing dialogue among a wide range of artists and audiences. 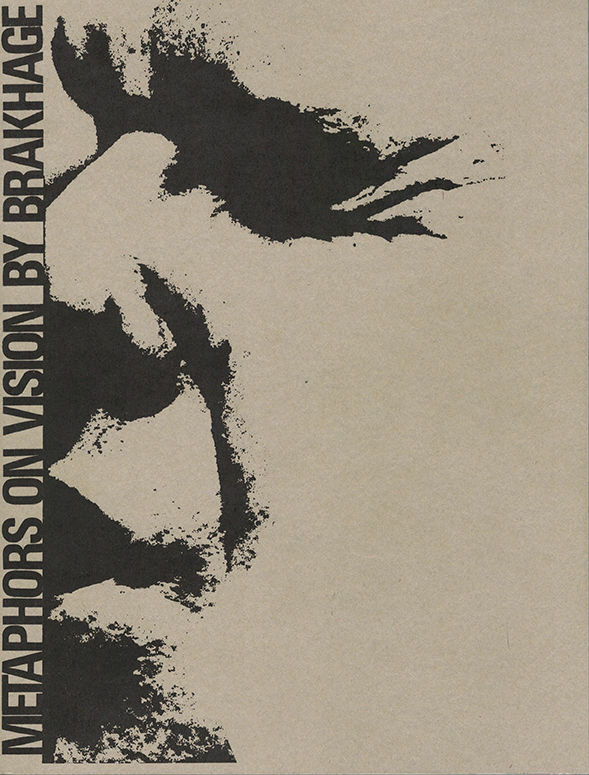 The 2017 edition of Metaphors on Vision was produced with the support of the Barr Ferree Publication Fund, Department of Art and Archaeology, Princeton University.